With the 2018 “Funny Chair” lineup, Joyner introduces daily lineup of laughter with a new voice and perspective each day. Tom Joyner, who launched his syndicated radio show in January of 1994 becoming one of the most powerful voices on radio ever, has signed on for 2018 with co-host Sybil Wilkes, notable commentators and comedians that bring a hilarious start to each day. Joyner introduced the “Funny Chair” last year, bringing all-star comedic personalities to the radio show lineup each day. For 2018, Joyner will feature Guy Torry and Sherri Shepherd as co-hosts. 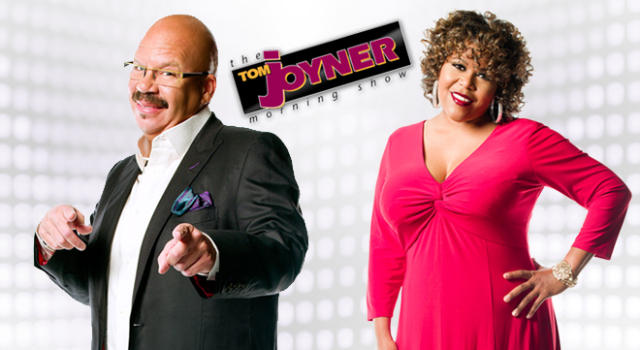 Continuing to dominate as one of the leading shows in radio, The Tom Joyner Morning Show currently reaches over 7.4 million listeners with more than 95 affiliates. The Tom Joyner Morning Show is broadcast weekdays from 6-10 AM ET, offering listeners entertainment, information and music, addressing topics important to the African-American community. 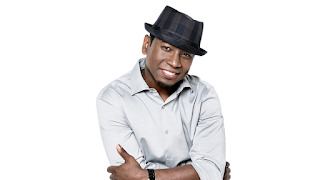 Guy Torry (Mondays & Wednesdays) - A long-time friend of the Tom Joyner Morning Show and Tom Joyner events, Torry’s comedic style is contemporary and timely, leaving no topic off-limits. Identifying himself in early grade school as the class clown, Torry has serious credentials having written for such hits as Martin and Moesha as well as touring with the Def Comedy Jam. Sherri Shepherd (Tuesdays and Thursdays) - Whether on stage or screen, Daytime Emmy Award-winner Sherri Shepherd always delights audiences with her magnetic personality and sense of humor. Shepherd served as a co-host on ABC’s The View for eight years and has made appearances on many popular TV shows and movies, including Ride Along 2, Top Five, Precious, 30 Rock, How I Met Your Mother and Madagascar: Escape 2 Africa. Shepherd co-stars in NBC’s TV comedy Trial and Error. “On Fridays, we are still going to wobble and look back at 25 years of the TJMS”, says Joyner. Also notable and commemorating Joyner’s career, Fridays will feature audio from and visits by celebrity and superstar friends of the show revisiting the funniest and favorite moments that listeners can only get on the Tom Joyner Morning Show. Here's Sherri Shepherd's vacation photos with The Real's Loni Love. Tom Joyner refused to make any comments on the photos as mentioned in the following audio clip. [Check out the comments] following Roland Martin's first appearance on the Tom Joyner Morning Show with Tom this year.